Since March 2017, Mary Gray has had a new custodian, Kenneth Findlay, who has become a member of the Association. I have had the pleasure of stepping aboard Mary Gray four years ago when she was one of nine Harrison Butler boats that gathered on the Newtown River in July 2014. 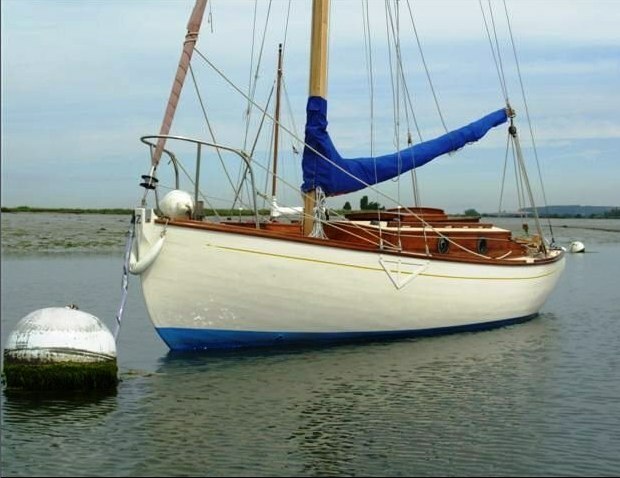 At that time Tom Riddell was her proud new owner and I had the pleasure of meeting him and his crew when they rafted up to my boat, Tramontana. Tom's now the HBA's Independent Examiner of Accounts. I know very little of Mary Gray's history; I have looked for her in vain in the Lloyd's Registers.